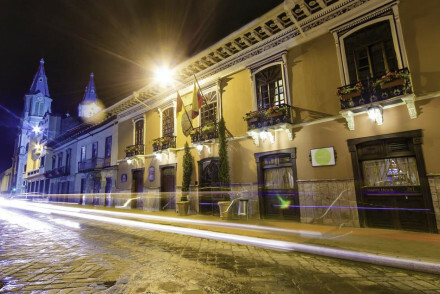 Perched at 2500m high in the shadow of the glorious Andes mountains sits Cuenca, a picturesque Spanish colonial city steeped in Old World European grandeur and the orchid capital of the world. With a heritage rich with conquistadors and Incas, the Old Town is UNESCO-protected and boasts a great many beautiful buildings, like the blue domed New Cathedral. Whether you're browsing the local boutiques or indigenous handicraft markets, buying long-stemmed roses from the flower market outside the New Cathedral or checking out museums dedicated to indigenous history and culture, or trekking outisde of town, deep into the mountains, you will fall in love with this stunning and fascinating city. Find out more by checking out our collection of the best places to stay in Cuenca! Walk down the scenic paths running alongside the Rio Tomebamba, a river that splits-apart the colonial and modern sections of the city. Visit the Pumapungo Museum and explore archaeological ruins of indigenous tribes and walk through the small zoological garden! Head out-of-town towards the Feria Libre, an indigenous market dealing with handicrafts. Get your hiking boots on and go explore the beautiful El Cajas National Park! It's a very easy to bus to and from the city, and is also a great spot to catch a glimpse of local tropical birds. Explore the beautiful blue-domed New Cathedral and climb the 150 steps to the top, drinking in the gorgeous views! Check out the Parque de los Flores, a flower market by the New Cathedral. Head to the Prohibido Centro Cultural, a museum dedicated to ‘Extreme Art’ and is a mish-mash of various artistic mediums. Also not a bad spot for a cocktail! Steeped in history and Old World architectural grandeur, Cuenca is a fascinating place to visit for culture vultures and history-buffs alike. Don't miss out, check out our list of the best places to stay in Cuenca! Mansion Alcazar is a restored mansion located in the centre of Cuenca. 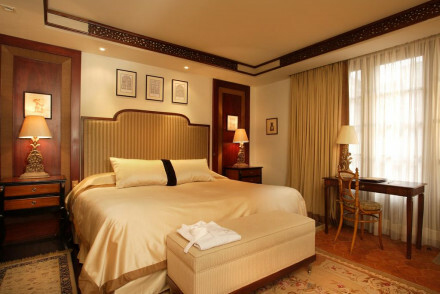 A short walk from the city's hotspots, the hotel boasts free standing baths, elegant decoration and a chic restaurant. Traditional and affordable, Hotel Santa Lucia offers antique furniture, beautiful sash windows and a large open-air courtyard which is perfect for a romantic supper. Thirty minutes outside of Cuenca, Hosteria dos Chorreras sits amid idyllic countryside, Here you'll find traditional architecture and antique furniture. The restaurant is also a great spot to experience the best of local cuisine. If you think that a self catering property would be more suitable, then check out the wide range with our partner, Booking.com. The temperature in Cuenca is relatively stable year round and hovers around 20 degrees Celsius, but to minimise the chance of rain, try and avoid visiting between March and May. Cuenca has its own aiport just outside the town, but this only receives domestic flights. So we'd advise that you fly to Quito and pick up a connection there. For those who'd prefer to hire a car, visit our partner, Rentalcars. or contact one of our gurus for advice. A wonderfully traditional hotel in the historic centre of Cuenca. Elegant rooms feature antique furniture, high ceilings, patterned wallpaper and sash windows. A large central open-air courtyard makes for romantic evening meals. Well positioned to access the best of the cities attractions. Fabulous. Local exploring - Well situated within the Old Town and close to many of the main attractions. Sights nearby - Just a short walk to the San Alfonso and Immaculate Conception Cathedrals. Great walks - Make a trip the nearby Cajas National Park for picturesque walks. A charming inn set within picturesque countryside just outside the historic city of Cuenca. Traditionally dressed rooms feature antique furniture, warm hues and beamed ceilings. Dine on regional dishes made using local produce in the rustic restaurant. An authentic rural escape. Local exploring - Just 30 minutes outside of the historical centre of Cuenca have the best of both country and city life. Active Holiday - Find numerous outdoor pursuits to partake in from fishing to horseriding. Kayaking - Kayak on the nearby lakes. The hotel provides the equipment. Secluded setting - For escaping. An elegant restored mansion in the centre of Cuenca. Richly decorated rooms feature antique furniture, parquet flooring and free standing baths. A glamorous restaurant serves excellent regional and international fare. Walking distance from many of the city's attractions. Fabulous. City Style - A restored mansion with all the granduer of days gone by. 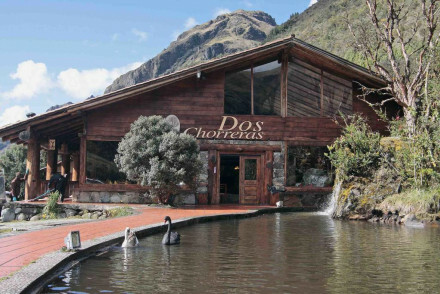 Great walks - Explore the picturesque Cajas National Park just an hour from the city. Sights nearby - Visit the majestic Old Cathedral of Cuenca.